Kuala Lumpur (VNA) – Malaysia has formed a special team to investigate the collision of the USS John S. McCain destroyer of the US with a Liberian-flagged merchant vessel seven nautical miles off the coast of its Johor state on August 21. Malaysian Minister of Transport Liow Tion Lai said on August 29 that Malaysia is working with Singapore and the US to assist and look into the incident. The collision took place in the east of Malacca sea, when the Alnic MC vessel was carrying nearly 12,000 tonnes of oil en route from Taiwan (China) to Singapore. Though the vessel was partly damaged, its sailors were unhurt and there was no sign of oil leak. Meanwhile, 10 US sailors were dead. 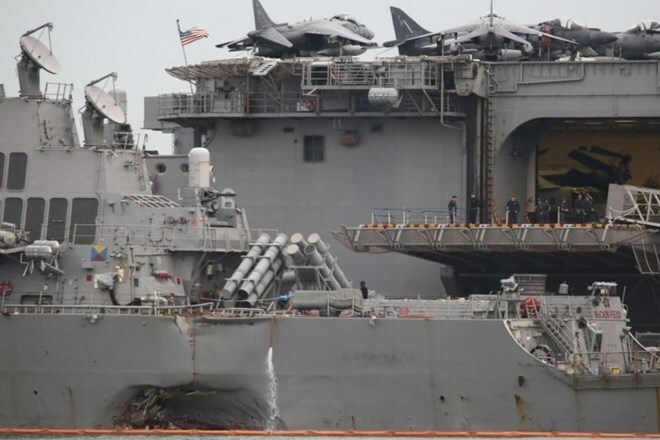 This was the second collision related to an US Navy ship in the Pacific Ocean in the past two months.